When Lord Jesus back to Earth at the time of Atlantis for the Judgment day (over 15,000 years ago), he declared to be a Son of the Sun. People ask for a proof and he give a proof, precipitating a stone made of Quartz and with a simple touch of the hand, create a perfect flame. This was called the Unfed Light Temple. Atlanteans built a temple around it. 434 days after ... Atlantis fall. A Similar story happens in "El Dorado". However, this lesson comes from another page. Most people wonder the blessed Music of Johannes Chrysostomus Wolfgangus Theophilus Mozart and some ask why? Why a young children only five years old can play sweet music ... and compose music in him early days? The answer is not too much complicated but easy. Mozart was a prodigious composer and musician ... because he remember ... Remember what? ... He remember the music, the notes, the composition, etc. And of course he was a composer in him previous life. When a Children male or female born, he or she remember who was and also speaking to the parents express who they are. 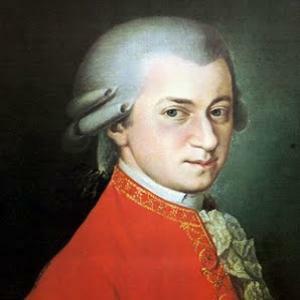 Johannes Wolfang Mozart remember the "ability" to compose and play music. I have not experience in play music, neither on composition. Now, the question who was Mozart in him previous life? A composer, of course but who? ... I ask this and the answer was an famous Italian composer: Antonio (not Salieri) Vivaldi. Antonio Vivaldi was Wolfang Amadeus Mozart ... and this is logical. Vivaldi born close to Venice and both Austrians and Nort-East Italians have the same origin, also the same cosmic origins. This is the lesson for today. Expert musicians may study this statement. I publish just for curiosity, past cannot be changed, however we can change how we feel the past. I want to tell you a little bit more. All the great composer like Mozart, Vivaldi, Bach, Mendelson, Haendel ... arrives on Earth with an agreement to produce "Music from Heavens". I consider the Bad tricks exposed in "Amadeus" movie tailored Antonio Salieri ... sacred truth. Lower people ... (or people with a Cosmic Origin ... or a Heaven not so close to the House of the Lord) ... like Salieri in the movie and other thousands other in Human History ... only can stole and write their story ... not the real history. Most people must understand ... that our planet, Earth is like an Amazing Train Station where people arrives from several Universes. There are some called Lemurians, that arrive from another Universe, called Dhal Universe close from Andromeda constellation. These people are on Earth ... from the days when the planet smoke and two suns where available. Today we have only one Sun. These Lemurians (like me) had stop in several stars like Orion, Vega, Sirius and other ... including Venus ... until "we" arrive on Earth ... and because the Great Shift ... we like the owners ... are just back to see our efforts concluded in perfect and astonished happiness. We are like the Engineers that participate in the realization, design and feed-back of a Great Opera. Now that this Opera is close to be inaugurated, called "Peace on Earth" if you prefer, logically these architects want to be present ... to enjoy the inauguration, also called "The Great Shift". PS> Most of us have the same origins ... cosmic origins. Please consider the place where you born. That people, the people where you born have the same origin than you, and there border or not borders ... are where you and your Twin Flame born. I can promise you will meet your she if you are male, or your boyfriend if you are a she. South-Americans for example have the same origin. Venezuelan and Colombian people are basically the same people with the same cosmic origins ... and that border will be removed in the coming years. All American people has also the same origins. The same is valid for African people or European ... The beautiful Italy is like our planet. The People in the North have the same origins, like Venice-NothEast and Austrians, still German and you know there are a border. People from the South of Italy have the same origins than Mediterranean people ... and there Greece and Sicily and Southern Italy and some Egyptians has the same origins. Soon the veil about our origins will be removed.